Eastman's 5 ft. 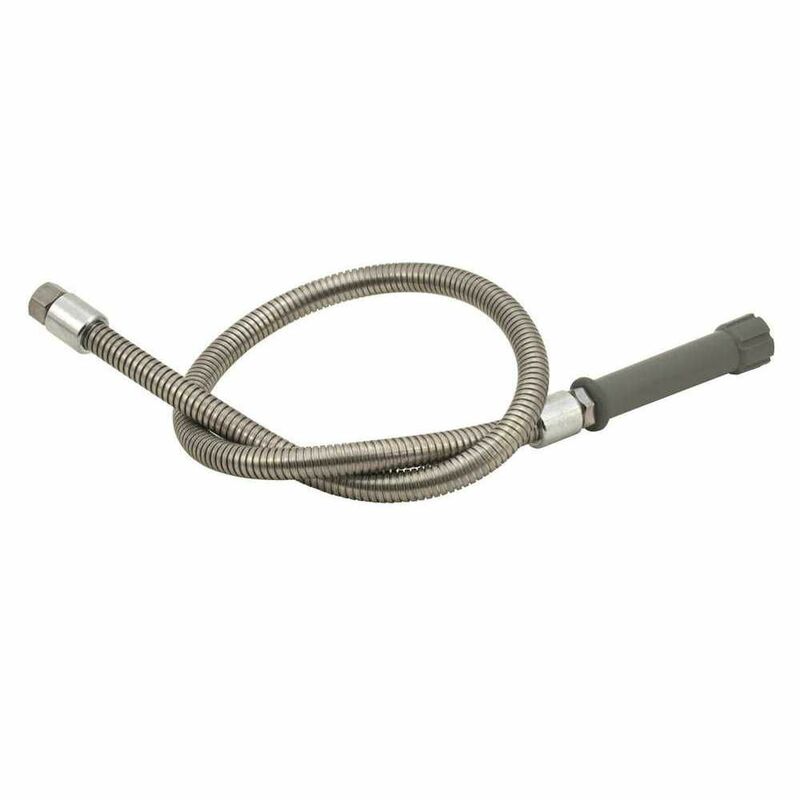 Stainless Steel Washing Machine Hose is the standard in washing machine supply lines. Its quality is determined by what you can't see. The supply line features a pvc core, multi-filament braided nylon reinforcement, a clear vinyl outer shell, and a grade 304 stainless steel braided exterior that is designed to prevent kinking and crimping. This flexible supply line resists corrosion and is easy to install. Each hose is colour coded, blue for cold water and red for hot water. From finishes that are guaranteed to last a lifetime, to faucets that perfectly balance your water pressure, MOEN sets the standard for exceptional beauty and reliable, innovative design. Bring elegance to your home with premium selections from MOEN.